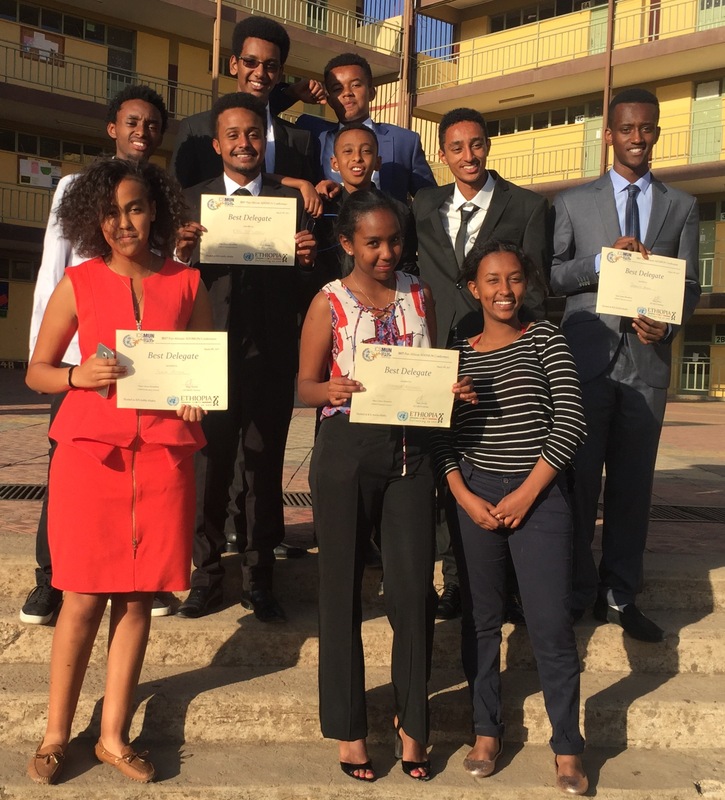 We are extremely proud of our student delegates who participated in the MUN Conference on 4 March 2017 at the International Community School (ICS). 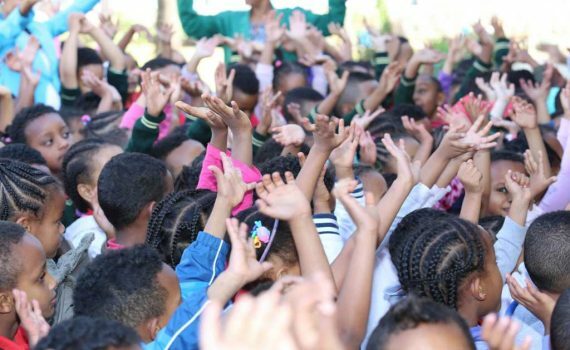 13 schools participated and two general assemblies were held. 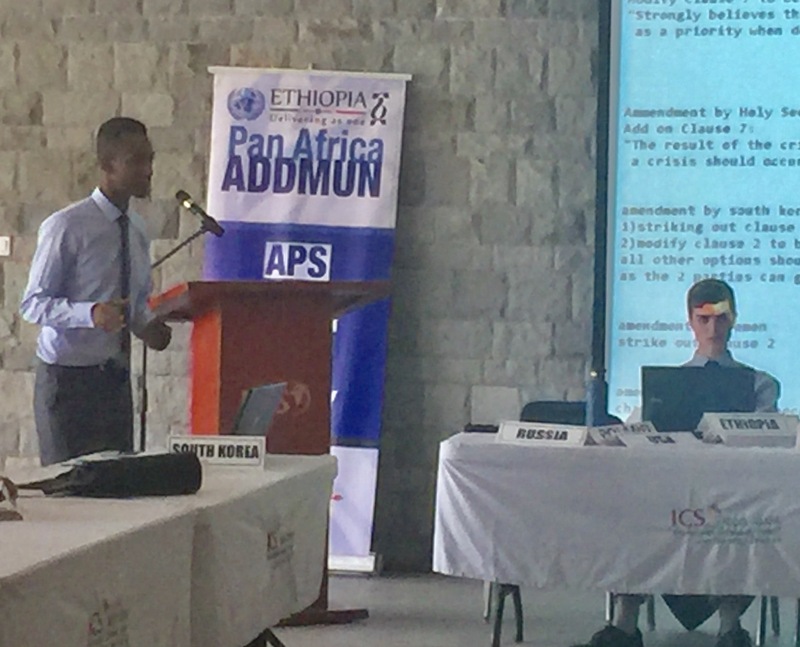 Our outstanding student debaters from AIS were awarded the top prizes: Best Delegates for our two students delegates representing the country of Rwanda in General Assembly 1 and Best Delegates for our student delegates representing the country of South Korea in General Assembly 2.
delegates representing South Korea: Dagmawe Amare, Grade 11 and Saron Yemane, Grade 11. We have spent yet another fruitful and challenging school year which came to an end without any notice or ceremony. Personally, I just could not believe it and I heard the same comment from almost all my colleagues. This, to me shows that we were engaged almost all the time. However, as the saying goes, “The taste of the pudding is in the eating” I am sure our being on task all throughout the year has had its own positive impact on our students’ academic as well as behavioral achievements. Our effort will undoubtedly bear fruit. When we talk about improvements of students’ rate of success, we have to realize that it needs the efforts of all directly concerned parties i.e. the stake holders like teachers, parents, the school administration and the students themselves. All that I want to say is, as long as we have the same goal, let us all have patience and understanding, let us work hand in hand in harmony and be collectively responsible. We have to have a close relationship but in a formal and professional way. Finally, I want to take this one occasion to thank all the teachers, especially those who went extra miles to assist and get the best out of their students, and wish them as well as their students a happy vacation. The AIS Science Fair took place on February 11, 2017, with students fromgrades 5 through 12 participating in the program. More than two hundred seventy five projects were presented by the students in the fields of biology, chemistry, physics and ICT, of which 21 of them have become winners ranking from first to third. According to the feedback from parents, judges, and invited guests, the program was a good means of producing young scientists. 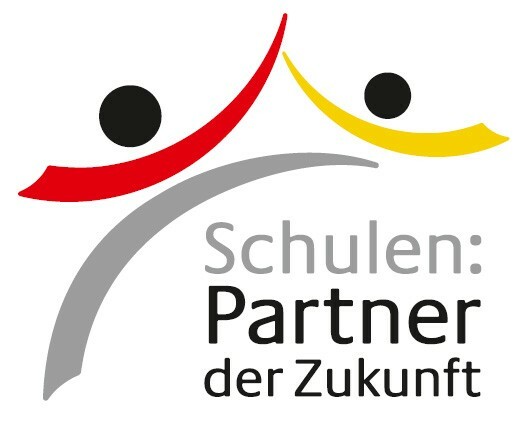 In assisting the program, more than 40 teachers (both science and othersubjectteachers), 30 external judges, and 13 sponsors played a significant role in the success of the program. 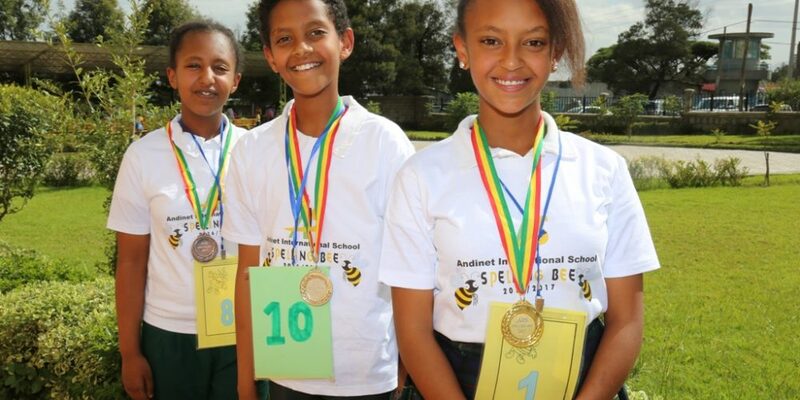 The 2016/2017 AIS science fair was the most successful and well organized in its participation because of the relentless effort of teachers in particular, and the school community in general. Last but not least, I would like to forward my great appreciation to the school administration for the cooperation they have been giving to the department wherever needed. This year’s Math Bee competition was held from April 24 to 28,2017. Representatives from across the primary and secondary divisions competed at their grade level to win the Math Bee Grand Prize. The students have shown enthusiasm to excel in mathematics and showed realinterest in the subject matter. Math teachers from all grades have successfully accomplished the cumbersome task of organizing and directing the competition. We would like to say a big thank you to all those teachers and students who made the event so successful. 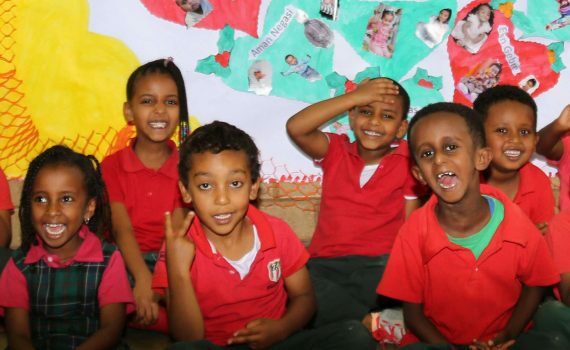 Grade One – For their topic ‘Senses’, the grade one students took a trip to Moha Soft Drink factory. Students observed the different colors of drinks, how the bottles are cleaned and filled, and they also learnt how the workers protect their eyes from rays emitted by the machines. Grade twoand Grade three students were performing many activities, mostly science and physical education. The Environmental Science section of the activities introduced the Ancient Roman circus. Grade FourThe title for the IPC theme was “Community”. 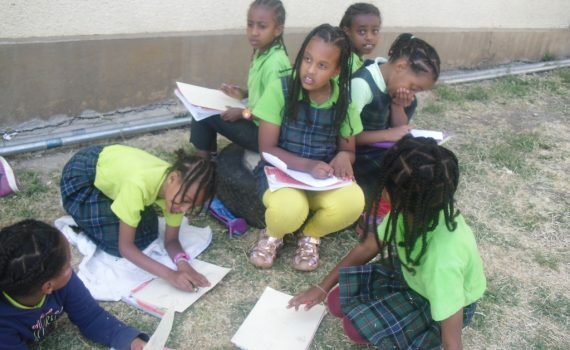 Here almost all subjects were integrated, Amharic, English, environmental science, civics, ICT, music and art. 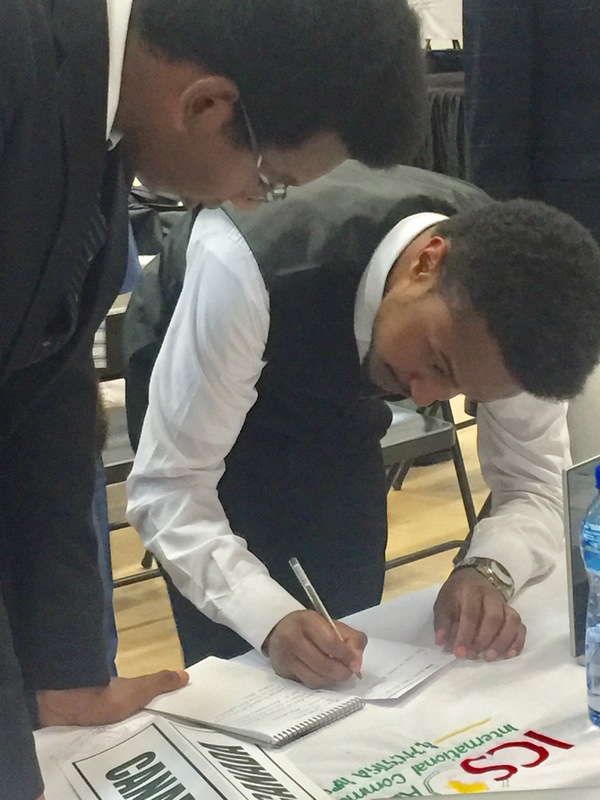 The students studied the history of community, how to lead a successful community, the result of unity…etc. Finally, students took a trip to the African Union and understood how unity helped the African countries to independence. Grade Five: The IPC theme “Artists Impressions of the World” was very inspirational for the grade five students thanks to Mrs. Nefertiti, who invited for us a wonderful artist with all her wonderful works. Grade six:inthe IPC topic ‘Migration’, grade six experienced a migration throughout the school grounds. They had to work together to complete a variety of tasks and challenges, with the aim of understanding the issues relating to migration. 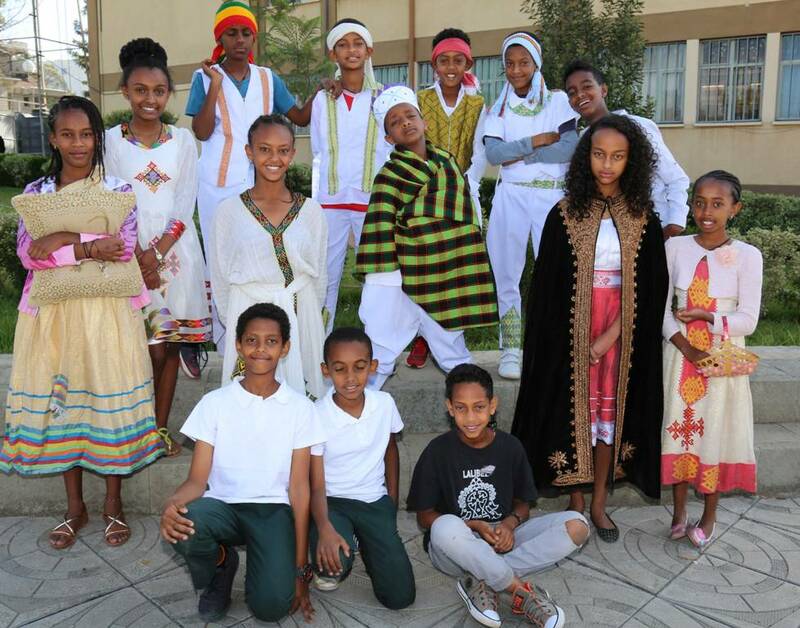 This was a cross-curricular project, including elements of geography, maths, Amharic, English, ICT, and P.E. These are just a few of the wonderful and engaging activities that our students took part in this year, all of which really helped the students to gain an understanding of their learning goals. 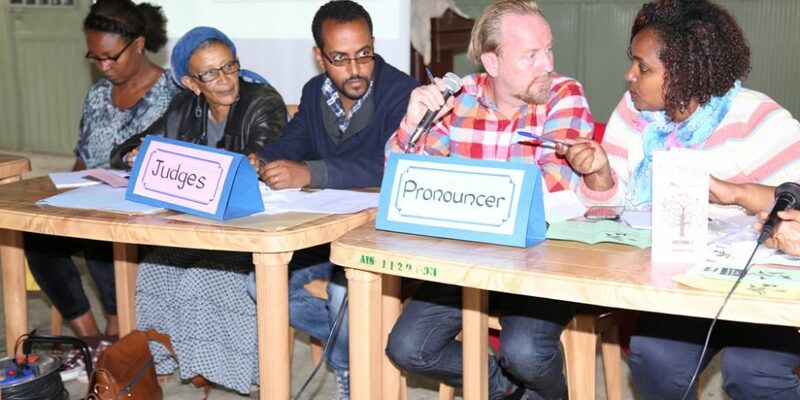 The AIS Spelling Bee took place on May 2-4, 2017. 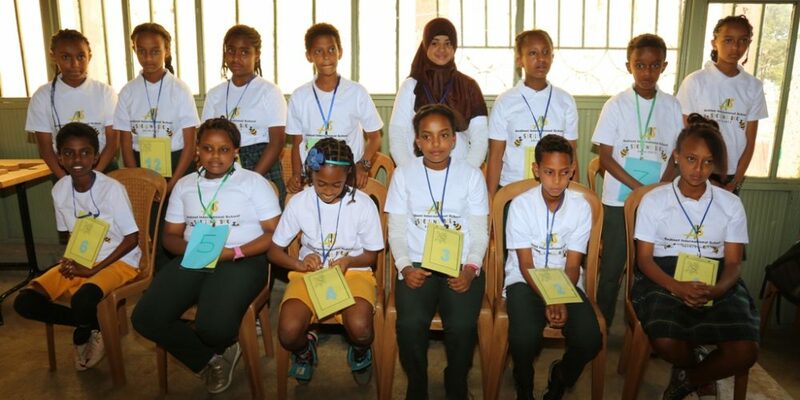 Students were recruited from each grade and in total seventy-two spellers took part in the competition. They initially competed at grade level, then within their milepost and finally overall champions were decided based on the number of words they spelled correctly. 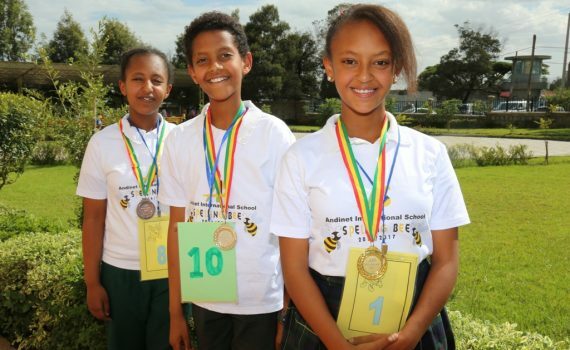 The 4thgrader Amania Yonaswas the champion, second place went to 1St grader Nathan Berhanemeskel and 6th grader Abigial Gigar came in third. This was the most exciting and interesting part of the year, and it would not have been possible without the help of the whole ELA department, and the enthusiasm of the students – thank you! AIS values diversity! It is a way of living harmoniously despite differences in culture, language, color and understanding. 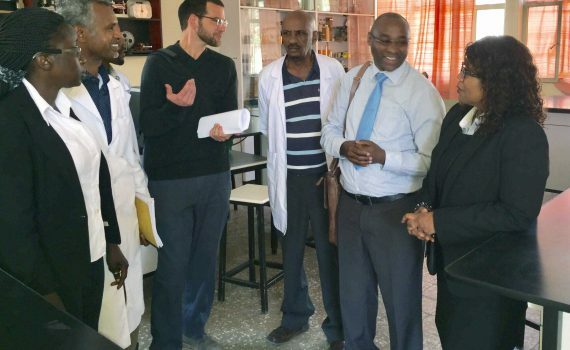 In this respect, the early childhood division had the opportunity to exchange cultures and appreciate cultural differences between Mexico and Ethiopia. We learnt so much about Mexican people. Preparatory students invited parents as an exit point of the Unit “Change”. In this unit they learn about change in different aspects, like changing the character and setting of story, sounds of words, in the life cycle of plants, animals and human beings and weather. At the end, the students mastered that change is unavoidable, what is important is the skill of adapting oneself to the changing world! !